Plantar warts, also known as plantar verrucae, are manifestations of infection with human papillomavirus. They can be painful due to their position on weight-bearing skin and in some patients may cause embarrassment due to their cosmetic appearance. Plantar warts often spontaneously resolve so conservative management is an option, particularly as some warts are resistant to multiple treatments. Although cryotherapy using liquid nitrogen is a conventional treatment for warts, there is limited evidence that this is an effective management method. Topical treatments for warts have variable success rates, however, wart paints and gels containing salicylic acid show good evidence of efficacy. Melanoma is a rare but important differential diagnosis. Plantar warts can be confused with corns or calluses. The use of a hand-held dermatoscope can assist in diagnosis for practitioners trained in its use. Warts are characterised by hyperkeratosis or thickening of the skin, and are often found on pressure points. Small dots or lines are usually visible inside the lesion, which represent broken capillaries and can range from red to brown in colour.5 They are more clearly shown by dermatoscopy, where red/purple dots or clods (blood vessels) are surrounded by white circles or lobules (keratin). The blood vessels may become more obvious if the outer layers of hyperkeratotic tissue are trimmed off. In contrast, corns exhibit a translucent core (concentric fine white rings on dermatoscopy), while calluses show a generalised opacity across the lesion (structureless on dermatoscopy).5 Multiple adjacent verrucae may form mosaic warts. Although rare, the most important differential diagnosis in a patient with a suspected plantar wart is melanoma. Other tumours may also rarely occur in this site (see: “Melanoma of the foot”). 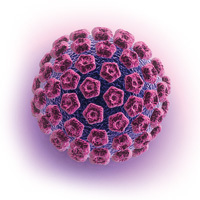 HPV is transmitted by skin contact or contact with surfaces touched by other people with the virus. HPV can be present for weeks or years before the appearance of a wart, and persists for life, even after the wart has resolved. This may lead to recurrence at the same site, e.g. if a person who is carrying the virus becomes immunosuppressed; plantar warts are very prevalent in organ transplant recipients. People with plantar warts can auto-inoculate HPV and spread infection to other parts of the body. For example, picking at warts with fingernails may result in transference of infection to the hands. Abrasive implements used to remove thickened wart skin, and clinical implements such as dermatoscopes, have been shown to retain detectable HPV DNA.6, 7 Whether this contamination represents transmissible virus is uncertain, but as a precautionary measure any implements used on the wart should be sterilised or discarded after use. Children frequently acquire warts from infected family members or in a classroom environment, therefore, prevention efforts need to focus on the both the home and school.8, 9 Going barefoot in public spaces, around swimming pools or in shared bathroom areas increases a person’s risk of HPV infection. People already infected with plantar warts should be advised to take precautions to reduce transmission to others, such as wearing footwear in the home and school environments and covering warts with tape before using communal areas. Up to 80% of people will experience resolution of plantar warts without intervention within two years.10 Many patients will, however, wish to attempt treatment. All topical treatments for warts have variable success rates, therefore several different management methods may need to be trialled before the wart is resolved. Wart paints and gels containing salicylic acid show good evidence of efficacy, and can be recommended as a starting point for patients who wish to trial a treatment. It is estimated that cure rates of plantar warts with a watch and wait approach are likely to be in the range of 25% over a period of a few months.11 Eventually, most warts will resolve without treatment, but this may take several years. If the wart is causing discomfort, the wart surface can be abraded with an emery board (disposable nail file), pumice stone or a similarly abrasive surface. Patients should be advised that items used on the wart should be discarded after use or sterilised (e.g. placed in boiling water for five minutes or soaked in bleach) to reduce the risk of viral transmission. The lesion can also be debulked to improve absorption of creams or ointments into the underlying infected tissue, if pharmacological treatment is trialled. Most topical treatments for plantar warts are recommended as a daily application until the wart has resolved. There are no specific guidelines for when treatment efficacy should be reviewed or when to switch to an alternative treatment. These two medicines are not indicated for the treatment of cutaneous warts. While they should theoretically be useful given their indication for the treatment of anogenital warts, there is little evidence at present to support their use for plantar warts. Imiquimod 5% cream has been assessed in two randomised controlled trials for the treatment of cutaneous warts, conducted by the manufacturer, which suggested some benefit but this indication has not been pursued further.13 Inefficacy may be due to poor penetration of imiquimod through the hyperkeratotic skin. The application of zinc to a wart is thought to augment immune function and/or assist in skin repair. Topical zinc cream for the treatment of cutaneous warts has been assessed in two studies, which suggest it is superior to placebo treatment and comparable to salicylic acid in efficacy.13 However, one of these studies used zinc sulphate which is not available as a topical product in New Zealand. A zinc oxide barrier cream 15 – 40% (general sale) may be trialled to treat a plantar wart, but there is limited evidence of effectiveness. Covering a wart with adhesive tape or plaster has been anecdotally reported as a cure. Three clinical trials have assessed its efficacy versus either cryotherapy as a comparison treatment, or a corn pad or moleskin wrap as a dummy placebo treatment.13 Although the first of these studies showed that duct tape was superior to cryotherapy, the two studies where duct tape was compared to a corn pad or moleskin wrap found no statistically significant differences between treatments. Available evidence does not support the notion that applying tape to a wart results in increased cure rates. Cryotherapy has traditionally been used for plantar warts. However, clinical trials report low rates of cure and it results in significant pain and blistering, reducing mobility for up to several weeks. A meta-analysis of trials of cryotherapy (with liquid nitrogen or any other substance which induces cold damage to warts, e.g. dimethyl ether and propane [DMEP]) showed that freezing of cutaneous warts located on the hands or feet was no better than placebo.13 Studies of combination treatment of cryotherapy with additional topical salicylic acid application do not support the idea that this treatment is better than salicylic acid alone.13 Cryotherapy for plantar warts is therefore a non-evidence based intervention, associated with significant morbidity. N.B. Cryotherapy is less effective for treating plantar warts due to the thickness of the stratum corneum in this area. It may be more effective for treating warts in other body sites, e.g. anogenital warts. Raising skin temperature is thought to promote apoptosis (programmed cell death) and subsequently bring about an influx of inflammatory and immune cells. In the context of wart treatment, these effects could theoretically improve HPV clearance. However, given the specialised devices required (e.g. exothermic skin patches, radiofrequency heating apparatus’ or infrared lasers) and the potential for burns with misapplication, the use of hyperthermia to treat plantar warts has limited application in a general practice setting. For some patients, plantar warts will persist despite multiple treatment approaches. Surgical removal of the wart may be considered as a treatment of last resort. However, in many cases, surgery may also prove unsuccessful. Therefore, the alternative option of ceasing active treatment of the wart can be discussed with the patient. A plantar wart can be removed under local anaesthetic by shave, curette and electrosurgery, laser ablation or full-thickness excision. Since plantar warts often arise on load-bearing tissue, the need to keep weight off the area of excision following the procedure may cause reduced mobility and interference with daily living or work commitments. Adverse effects are those expected from any minor surgery, including the risk of infection and post-procedural pain and scarring. There is little data available on the success rates of surgical approaches to plantar wart treatment. The quadrivalent HPV vaccine funded in New Zealand, Gardasil, protects against cervical cancer and genital warts, and targets HPV-6, 11, 16, and 18. It is therefore not active against the HPV variants that are most commonly implicated in plantar warts (HPV-1, 4, 27 and 57). However, there are some case reports where patients with recalcitrant plantar warts have been successfully treated after the administration of quadrivalent HPV vaccine.16, 17 These cases suggest that the vaccine induced a broader immune response. This approach has not been assessed in randomised controlled trials. Bruggink SC, de Koning MNC, Gussekloo J, et al. Cutaneous wart-associated HPV types: prevalence and relation with patient characteristics. J Clin Virol 2012;55:250–5. Coates CM, Boehm AP, Leonheart EE, et al. Malignant transformation of plantar verrucae. Adv Skin Wound Care 2006;19:384–5. Schroven I, Hulse G, Seligson D. Squamous cell carcinoma of the foot: two case reports. Clin Orthop 1996;227–30. Guadara J, Sergi A, Labruna V, et al. Transformation of plantar verruca into squamous cell carcinoma. J Foot Surg 1992;31:611–4. Bae JM, Kang H, Kim HO, et al. Differential diagnosis of plantar wart from corn, callus and healed wart with the aid of dermoscopy. Br J Dermatol 2009;160:220–2. Aubin F, Gheit T, Prétet JL, et al. Presence and persistence of human papillomavirus types 1, 2, and 4 on emery boards after scraping off plantar warts. J Am Acad Dermatol 2010;62:151–3. Penso-Assathiany D, Gheit T, Prétet JL, et al. Presence and persistence of human papillomavirus types 1, 2, 3, 4, 27, and 57 on dermoscope before and after examination of plantar warts and after cleaning. J Am Acad Dermatol 2013;68:185–6. Bruggink SC, Eekhof JAH, Egberts PF, et al. Warts transmitted in families and schools: a prospective cohort. Pediatrics 2013;131:928–34. Van Haalen FM, Bruggink SC, Gussekloo J, et al. Warts in primary schoolchildren: prevalence and relation with environmental factors. Br J Dermatol 2009;161:148–52. Sterling JC, Handfield-Jones S, Hudson PM, et al. Guidelines for the management of cutaneous warts. Br J Dermatol 2001;144:4–11. Kwok CS, Holland R, Gibbs S. Efficacy of topical treatments for cutaneous warts: a meta-analysis and pooled analysis of randomized controlled trials. Br J Dermatol 2011;165:233–46. Kwok CS, Gibbs S, Bennett C, et al. Topical treatments for cutaneous warts. Cochrane Database Syst Rev 2012;9:CD001781. NHS choices. Silver nitrate. Available from: www.nhs.uk/medicine-guides/pages/MedicineOverview.aspx?medicine=Silver%20nitrate (Accessed Nov, 2014). Salk RS, Grogan KA, Chang TJ. Topical 5% 5-fluorouracil cream in the treatment of plantar warts: a prospective, randomized, and controlled clinical study. J Drugs Dermatol 2006;5:418–24. Landis MN, Lookingbill DP, Sluzevich JC. Recalcitrant plantar warts treated with recombinant quadrivalent human papillomavirus vaccine. J Am Acad Dermatol 2012;67:e73–4. Daniel BS, Murrell DF. Complete resolution of chronic multiple verruca vulgaris treated with quadrivalent human papillomavirus vaccine. JAMA Dermatol 2013;149:370–2.